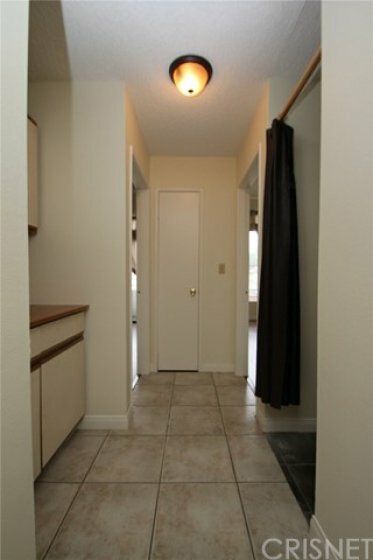 2 Bedroom and a Bonus Room enclosed and used as a 3rd bedroom. Perfect opportunity to own this beautiful condominium in a great Canoga Park location. This beautiful end unit offers you two spacious bedrooms which boast of ample closet space, and two full bathrooms. Master bedroom offers its very own bathroom for privacy. Spacious living room features a built in fireplace, perfect to keep you cozy for those cold winter nights. Offering a spacious kitchen, perfect for the chef in your family. This unit features a wet bar, tile and Parquet floors, private 2 car garage, a great Bonus room and in unit washer and dryer. Best part of all, enjoy a dip in the community pool! This home is close to shopping centers, restaurants and easy access to community services. So come by and take a look, you will fall in Love! Lot Size 40,997 sq. ft. Listing provided courtesy of Shoshana Kliman at Johnhart Corp..